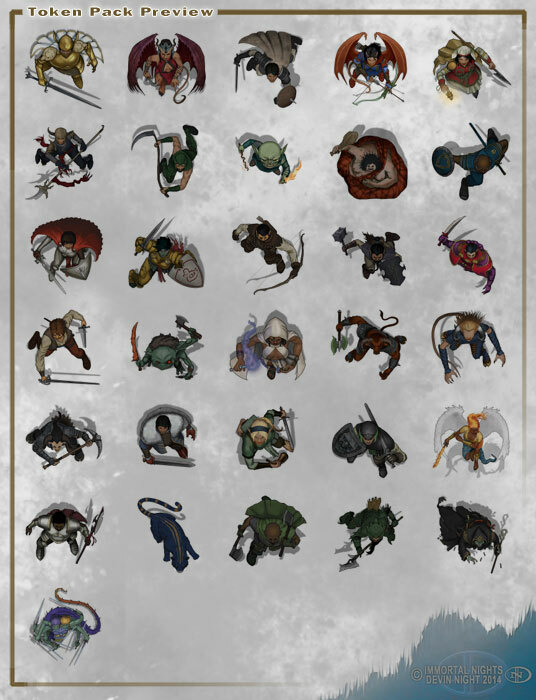 This pack contains 31 of more awesome tokens, based off Pathfinder Characters and Monsters created by Paizo Publishing, all rights to them. Please do not distribute these tokens. This free token set is my way of saying thanks to all the patrons who allow me to continue to work doing what I love to do… making art. This pack was commissioned by a few wonderful patrons over the course of 2014. A big thanks to Paizo who are cool enough to allow me to share this work with all of you. This token set uses trademarks and/or copyrights owned by Paizo Inc., which are used under Paizo’s Community Use Policy. I am expressly prohibited from charging you to use or access this content. This token set is not published, endorsed, or specifically approved by Paizo Inc. For more information about Paizo’s Community Use Policy, please visit paizo.com/communityuse. For more information about Paizo Inc. and Paizo products, please visit paizo.com.